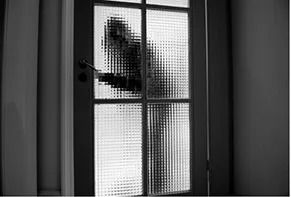 Facing an intruder in your home is an overwhelming experience. You may fear for your own life as well as the lives of your family members. Many people possess a pistol or other weapon in their home for protection purposes. While it may be your hope that you will never have to use it, it is your right to protect yourself and your family. Unfortunately, some people who use a firearm or other deadly force against an intruder are perceived to have used more force than was necessary for the situation – and ultimately face homicide charges. Even if you did what you thought was right, it is important to seek experienced counsel right away to ensure you don’t face criminal liability for protecting yourself and others. I provide aggressive representation for clients facing liability for self-defense shootings. I know the level of preparation that is necessary to present a strong self-defense strategy — whether you were protecting yourself or others in your home or in public. And, if the State isn’t willing to dismiss the charge and you truly believe that you acted in self-defense or in the defense of another, then I will fight for a not-guilty verdict at trial. If you have questions about using a self-defense strategy in your case, contact my law firm to arrange a free, confidential consultation. I will fight tirelessly even in the most complex criminal cases. What to do immediately following the use of lethal force in self-defene (or in defense of other)? This is perhaps the most serious and most critical area of my website. The majority of self-defense cases are private citizens who either have Concealed Pistol Licenses and were forced to defend themselves with their concealed handgun, or are private citizens in their homes who had to use a firearm to fight off a home invasion. Ensure your own personal safety — scan the area for threats. If your downed attacker may be able to access his weapon, kick it away from him (but be very aware of where it goes and tell everyone around not to touch it). Did the attacker have any accomplices that have not fled? Are there any citizens or off-duty police nearby who saw/heard some of what happened and they have drawn their own weapon? If so, do not point your weapon at them except to defend yourself. Do potential threats warrant you taking cover? Is a tactical reload warranted? Once you have ensured your safety, decock/safety on/reholster/reconceal your personal firearm. Call 911. This call is recorded. Give your name and location. Explain that you were attacked, that the attacker is down and needs an ambulance. Explain that YOU ARE THE VICTIM and you need the police to come. Give a good description of yourself (so the police know who the victim is, you, when they roll up). Assume a nonthreatening posture. When the police arrive, keep your hands visible. Don’t throw your hands up in the air like you’re surrendering yourself. Immediately tell the police that you are the one that called 911. If an ambulance has not arrived, ask if one is on its way. Give a SHORT statement of what happened. At this time, it’s not advisable to give specifics as to how far away the attacker was (e.g. 7 feet), or specifics as to how long something took, or even an exact number of rounds fired. Due to the stress of the situation, you will likely be wrong about some things and any concrete/specific details about time, distance, etc. that don’t stand the test of investigation will be used against you. The above scenario assumes you were legally justified in using lethal force. If you were not or the police have reason to believe you were not, you will likely find that an officer is reading you your rights. If that happens, it means you are being arrested and you should inform them that since you are under arrest that you wish to exercise your right to remain silent, that you want to talk to an attorney, and that you will not answer any more questions or give a statement without an attorney present. What happens if law enforcement determines the use of force was excessive? When excessive or deadly force is used against an intruder, law enforcement will conduct a thorough investigation to determine what happened and evaluate if the force used was warranted. By intervening at this stage, I can present your side of the story and any evidence to support it. In some cases, it will be determined that the amount of force was warranted and charges will not be filed. However, if law enforcement determines that the amount of force was not justified, you could face charges for unlawful discharge of a firearm, felony assault, negligent homicide or murder.